ENTRIES NOW CLOSED. 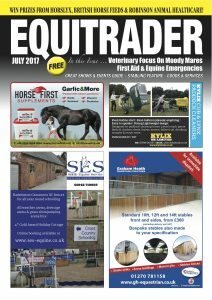 In this issue we have teamed up with Robinson Animal Healthcare to give away four Horse & Rider First Aid Kits! The Horse & Rider First Aid Kit provides all the essential items required to cope with that unexpected emergency. Coming in a handy, wipe clean bag with carry straps, the bag functions as a ruck sack to keep both hands free and is easy to use both on the yard and while travelling away from home competing. The kit contains all the necessary products to deal with minor cuts and grazes, including market leading products Animalintex®, which is the ONLY medicinal licensed veterinary poultice and dressing on the market and Veterinary Gamgee®. 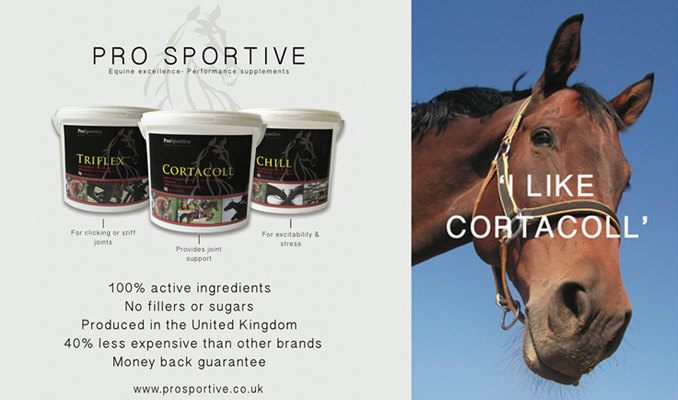 Also included are Equiwrap® bandages, a 15g tube of Vetalintex®, Skintact® wound dressing 10cm x 10cm, Fast Aid® Cleansing Wipes and tough cut scissors. For the rider, the kit contains a Robinson Animal Healthcare Fast Aid® Travel First Aid Kit, the perfect solution for minor first aid treatment during outdoor activities. 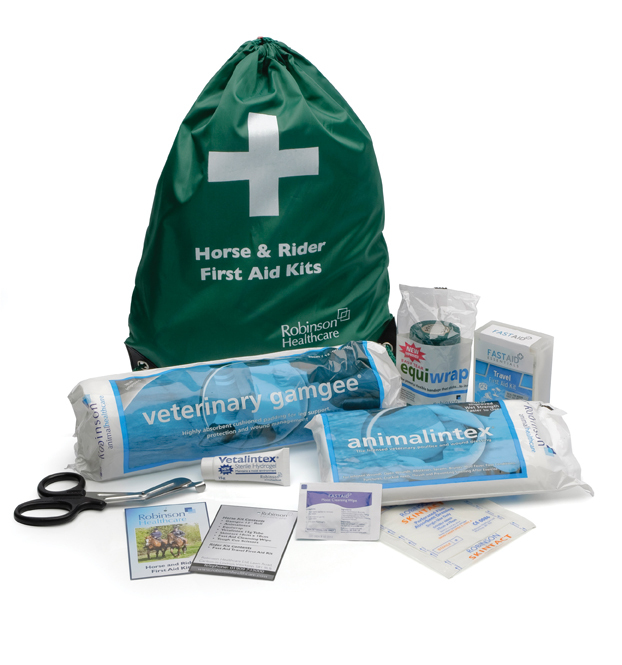 The Horse & Rider First Aid Kit retails at around £24.95. We have four Horse & Rider First Aid Kits to giveaway. Q: Somewhere within the JULY issue of Equitrader a Golden Horseshoe can be found, what page is the golden Horseshoe located?